A share of the royalty rights to more than 130 Judas Priest tracks are up for sale, following the collapse of KK Downing's luxury golf resort. The ex-guitarist and founding member's share of royalty rights on 136 songs—including hits such as “Breaking The Law” and “Living After Midnight”—are being put for sale, reports Billboard. Downing reportedly invested millions of pounds in the golf resort, located in Shropshire, England, but the business fell into administration and was put up for sale. According to Billboard, the process now involves Downing selling his royalty rights, which generate around $400,000/year. Downing left Judas Priest in 2011. 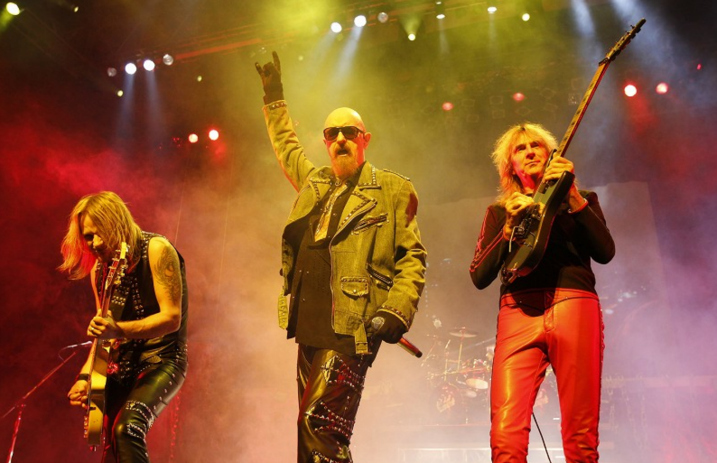 Judas Priest just released their 18th studio album, Firepower, in March, following guitarist Glenn Tipton's retirement from most of the band's touring due to Parkinson's disease. They're hitting the road this summer with hard rock pioneers Deep Purple. Get the complete list of cities and dates down below.